Microsoft has updated the backwards compatibility list for original Xbox games on the Xbox 360. In this March 2006 update, three new games made it on the list: BLACK�, Star Wars Battlefront� II and World Soccer Winning Eleven 9. Along with the new games, several games were updated with bug fixes. The most notable part of this update was the omission of Mortal Kombat: Deception. During the Xbox 360 initial launch, Microsoft announced that Mortal Kombat: Deception was among the list of initial Xbox games that could be played on the Xbox 360. Unfortunately, the emulation was not playable at all, which we detailed in our Mortal Kombat: Deception on Xbox 360 feature. Shortly after our feature was published, Microsoft removed Deception from the backwards compatibility list in the December 2005 update, stating quality issues. The earliest that Mortal Kombat: Deception could return was in this March 2006 update. Now that this update has passed without the reintroduction of Deception, Mortal Kombat fans will just have to wait a few more months to get their Mortal Kombat on Xbox 360 fix. Word for the wise. If you get a 360 , Do not , I repeat DO NOT play xbox games on the 360. The emulater is very bad and screws up textures , models , sounds , and lags . So if you have a regular xbox and get a 360 , just play your reg xbox games on the reg xbox and not the 360. 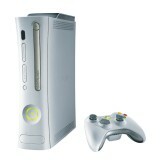 When i get my 360 im not even gona try halo 2 on it becuase of the many problems the emulater cuases. Im just goan play that on my reg xbox. Halo 2 runs great on the 360. The games that are supported are supported pretty well, some more than others. Um, i have played a few games on the 360, and they run much more smooth than they do on the regular xbox. Since you don't own a 360, how do you know that the emulater is bad?